Barbour Scarp Socks for ladies two pairs. The Scarp is a pack of two pairs of shorter trainer style socks by Barbour. One pair is white with navy toe and heel, the other is striped navy blue and white. There is a small woven beacon branded tab to top of sock, linking them with Barbour's heritage. 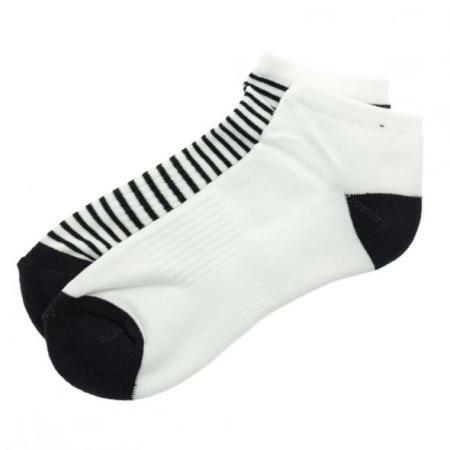 Medium fits UK shoe sizes three to five (36-38) and large fits UK sizes six to eight (39-42). Make your choice of size from the pull down menu below.SALE!